The Encyclopedia Britannica is among the oldest and most venerable references in the English language, and it is now available as the Encyclopedia Britannica online. The history of Encyclopedia Britannica is centuries long. Using the encyclopedia on the Internet is far easier than the early days of lugging around musty old tomes. Encyclopedia Britannica has a long history. While modern seekers of knowledge can find more information than they know what to do with online, this hasn't always been the case. The first edition was released in Edinburgh, the seat of English intellectualism at the time, over three years starting in 1768. Edited by William Smellie and published by bookseller Colin Macfarquhar and engraver Andrew Bell, the first volume of the first edition was priced at sixpence. Its completed pages numbered 2,391 with 160 engraved illustrations; it sold a total of 3,000 copies, a huge success by the standards of the day. The Britannica later changed hands frequently. It was different from other encyclopedic works of the time because it divided human knowledge into categories or systems. Today, it maintains that unique structure. The second edition included an often-ignored body of work, history and biography. This, in the opinions of its authors, made it truly encompass the sum body of general human knowledge. 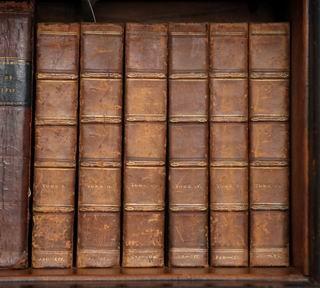 The third edition, in 1788-1797, held a total of 20 volumes with over 16,000 pages and began to resemble the three-part Britannica we use today. In the 19th century, it began a tradition of asking respected authors and scientists to author articles for its pages; the list of those who did include John Stuart Mill, Thomas Malthus, and Sir Walter Scott, among hundreds of others. Today, the Britannica is issued in three sections: the Micropaedia, resembling traditional encyclopedia; the Macropaedia, with longer, in-depth articles that carefully treat subjects; and the Propaedia, a sort of outline of instructions on how to best use the Britannica. In more common use, however, is the Encyclopedia Britannica online and the CD version, both of which abandon much of the traditional Britannica structure in favor of an easy-to-navigate hypertext structure. The most famous edition of the Encyclopaedia Britannica was the 11th Edition, also known as the 1911 Britannica. This is the version produced by the University of Cambridge, and it is packed with articles by scholars of the day; it also was designed to be especially readable by an audience at large while retaining scholarly rigor. Furthermore, it was the first version of the Britannica to be published all at once, rather than released volume by volume. Even today, this version of the Britannica is sought out by historians and writers because of its excellent historical articles, probably the best of their kind in any edition of the Britannica before or since. Project Gutenberg, with the blessing of the current Britannica copyright holders, is working on a version of this Britannica, although for copyright reasons they are calling it the Project Gutenberg Encyclopedia. If you don't mind paying a subscription fee of less than $100, the entire modern Encyclopaedia Britannica is also available online. Parts of the encyclopedia are available for free, so even if you don't subscribe you can visit to see what's available. You can also buy a DVD-ROM version of the Britannica for less than the subscription, although this version is also less complete.